It is an all-too-common tale, especially in and around South Florida, including Palm Beach, Hollywood, Fort Lauderdale, North Miami Beach, Miami Beach and Miami– a storm hits or another event like a fire leaves your home seriously damaged. Across the United States, approximately one in fifteen insured homeowners have to file a claim each year. The most common reasons a claim is filed include wind damage, hail damage, water damage, fire, and theft according to the Insurance Information Institute. As you can see, filing a homeowner’ insurance claim is fairly common. So, you file a claim under your homeowner’s insurance policy, only to learn that your claim was denied or partially denied. Don’t be surprised if the insurance company’s first reaction is to claim that your damage is due to some pre-existing condition or assert that your claim is not covered under the terms of your policy or even cancel your policy based on recently-discovered “errors” in your application. The insurance company may even claim that there was insufficient documentation associated with the damage to the property. Upon reading the Insurance company’s response, you might initially be angry and frustrated with your insurance company. Nevertheless, do not let your emotions best you. Remain calm and approach the situation rationally. It is extremely important to fully understand the scope of your policy’s coverage. An attorney knowledgeable in insurance law is best equipped to review the terms of the policy along with the denial or partial denial letter from your insurance company to determine how best to address the basis for the denial. 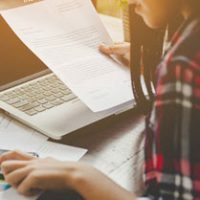 Even if the letter from the insurance company reflects their agreement to pay for part of your claim, the attorney reviewing your policy and the partial denial letter, may determine that you still have recourse against the insurance company for the balance of what is really owed to you. If your insurance policy was destroyed in the storm, fire, etc., don’t worry, the attorney can request a copy from the insurance company. Having your homeowner’s insurance claim denied can be an extremely frustrating and confusing. You are already stressed by the damage inflicted on your property or the loss of a valuable piece of property due to theft. If your claim is denied or even partially denied, the Insurance Litigation Group will look into the reason for the denial. If our experienced and aggressive attorneys feel that the insurance company wrongfully denied your claim, our attorneys will continue to advocate on your behalf and litigate as necessary to see that you get the benefits you are entitled to. This is why it makes sense to speak to an attorney to discuss your legal options and get sound legal advice. The Insurance Litigation Group is comprised of skilled Florida attorneys who can assist you in examining your policy and the merits of the denial. Contact our office today for a free consultation.